Introduction: Welcome to a new subset of the blog – a regular column, which teaches you about different beer styles. This concept was created by a newly hired team of well-oiled creative monkeys working ‘round the clock with one goal in mind – craft the greatest topic in Pampers N’ Pints history. 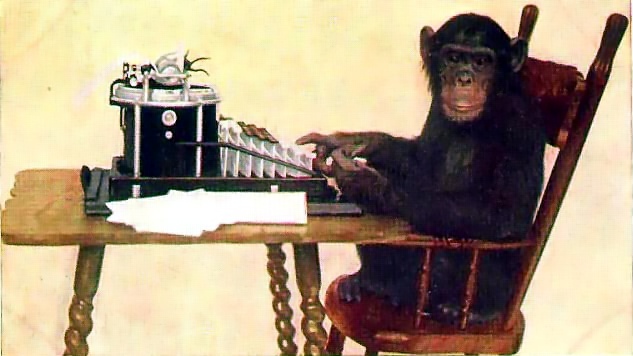 Since the regular writer’s brain makeup has been compared to that of a monkey, very few will realize new writers have actually been added to the staff. Wait, so that’s not who’s been writing these things the whole time? C’mon, it’s confusing enough! What is this the Punk’d of beer blogs? Is Ashton Kutcher going to jump out from behind my growler? Amazingly, no. Finally, you might actually learn something from this worthless blog. He’s halfway correct. Blondes may look like a lager, but the reality is, they are completely opposite in how they’re brewed and how they’ll impress one’s parents. Let’s start with the basics. There are two types of beers. All the rest you see are subtypes of these two categories – lagers, and ales. She’s full-bodied, that’s for sure. An ale is a type of beer brewed from malted barley fermented at higher temperatures than lagers. The yeast used, which is a strain of brewer’s yeast, ferments quicker than lagers and generally produces sweeter, and more robust tastes. Many ales contain hops which balance the sweetness of the malt. 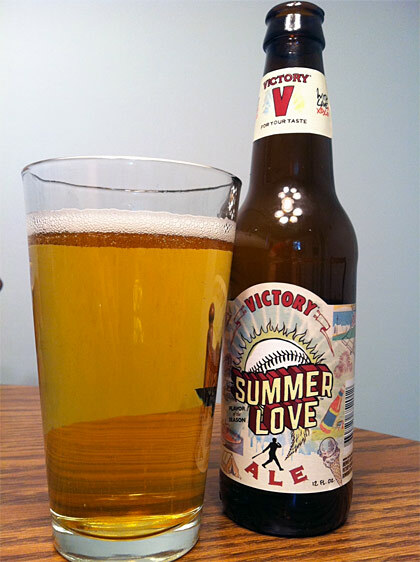 In contrast, the crisper lager, boasting drinkability and propensity to dominate the beer scene on a hot beach day, is fermented at cooler temperatures. Instead of the varied grains of ales, a lager is produced often on a massive scale using cheaper options such as rice and corn (known as American adjunct lagers). Lagers generally fall flat in the taste department but are more drinkable due to less bittering hops, and their light bodies – at least for the ones doing jazzercise twice a week. Lastly, and most important in differentiation is the yeast. Lager yeast produces less fruity esters than yeast used in ales. Examples of lagers are of course Budweiser, Coors, Miller, Heineken, Yuengling, Pabst, Stella Artois, Hinano, etc. etc. Every country has one you’ve heard of. It’s science. Do those suds go all the way up? What’s that? They do? Oh. I see. So why do blonde ales get to have so much more fun than lagers? Well, contrary to what most match.com users think, blondes have a more complex profile. Underneath that layer of foam, a fizzy complexion, and hour-glass, glass lies a silhouette bursting with full-bodied flavors. But don’t be fooled by a blonde ale that isn’t truly one – there are lagers out there doing their best to trick you into thinking they’re something they’re not. Just ask Hank Baskett. Trust me, you’ll thank me the next morning. 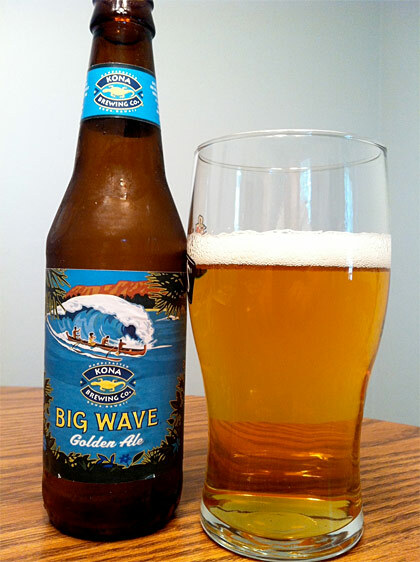 Big Wave Golden Ale by Kona Brewing Co.